I’ve been putting off writing about ‘Jubilate Agno’ for months, not because I have nothing to say but because the poem excites so many half ideas in my head that I find it heart to distill them into something short and understandable. I realised early on that I would not be able to review the poem in any way, but I could appreciate it. First, a quick bit of context. Jubilate Agno was written by Christopher Smart during a prolonged period of confinement in an unknown private madhouse which he had been confined to after being pronounced ‘uncurable’ at St Luke’s madhouse. The exact reason for his confinement are unknown but the clues point to a religious mania, a desire to pray loudly with people without thought of the time or place of praying and (given the definition of madness given by Dr Battie of St Luke’s) possible hallucinations. After he emerged from the madhouse, Smart published a number of works including a translation/representation of the Psalms and ‘A Song to David’, considered his masterpiece by critics from Betjeman on. It is probable that he wrote these three works almost simultaneously as similar phrases crop up in all three and his Psalms translation is mentioned in Jubilate Agno. Let Manly, house of Manly rejoice with the Booby a tropical bird. Let Fage, house of Fage rejoice with the Fiddlefish -- Blessed be the name of the Lord Jesus in the fish's mouth. Let Benning, house of Benning rejoice with the Sea-Egg. Lord have mercy on the soul of Benning's wife. Let Singleton, house of Singleton rejoice with the Hog-Plumb. Lord have mercy on the soul of Lord Vane. Let Thickness, house of Thickness rejoice with The Papah a fruit found at Chequetan. For the Venetian will know that the Englishman is his brother. For the Liturgy will obtain in all languages. For England is the head and not the tail. For England is the head of Europe in the spirit. For Spain, Portugal and France are the heart. For Holland and Germany are the middle. For Italy is one of the legs. Though, as you can see, even though it looks mad, it is not without reference. In the ‘for’ part quoted above makes jokey reference to the positions of countries of Europe on the map (with England as the head and I presume Scotland as the hat) and to the shape of the countries (with Italy being a leg). As I child I often thought that Great Britain looked a bit like like a laughing face, in Smart’s conception Europe is someone with a laughing face, a great belly and hopping on one foot. On closer reading, it would seem the poem is not so much mad as playful (if not always jolly). Furthermore, there seems to be a link between ‘let’ passages and ‘for’ passages. In an edition from 1980 some of these parts were matched up. The links here between a ‘moon fish’ and the ‘lunatick’; the ‘whale’ and the ‘harping-irons’ and the ‘effusion of his ink’ with ‘my epistles’ seeming pretty clear. The link between the apostles and aquatic animals is less clear until the reader is reminded that the apostles were commanded by Jesus to become ‘fishers of men’. (Yes I know the whale is not a fish, but in encyclopaedias of the day, even Goldsmith’s, the whale and dolphin are counted as such. Why would a person write such an extraordinary poem? The two Smart biographies I read had different focuses on his life and different interpretations of the purpose of it. Christopher Devlin in ‘Poor Kit Smart’ focusses throughout on Smart’s spiritual life and supposes that his purpose in writing is part of a larger project to rewrite parts of the Church of England Liturgy. He talks about Smart’s acquaintance with Dr Lowth who wrote a book about Hebrew poetry and a particular kind of that poetry which is chanted or song by two people reading from different sheets one after the other. He then focusses on the first set of ‘lets’ which put key figures of the Bible with animals that clearly represent a part of their story. There are no ‘fors’ corresponding with them, but that is because not all of the manuscript exists. Devlin suggests that Smart laid this project aside as a going concern and focussed on the Psalms, carrying on Jubilate as a way to pass the time. 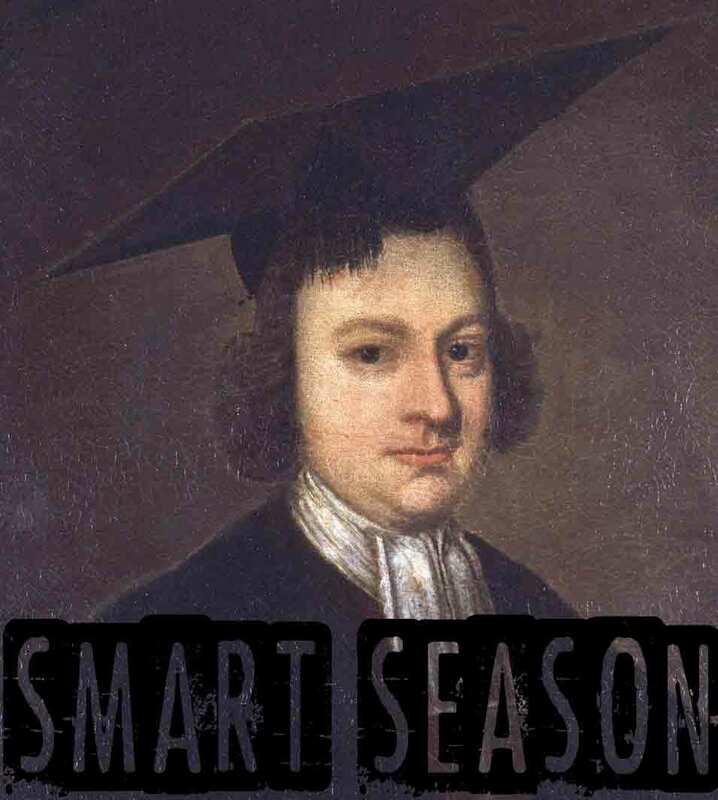 Arthur Sherbo in his book, ‘Christopher Smart: Scholar of the University’ focusses on Smart’s intellect and concentrates on the latter half of the poem where the ‘lets’ have degenerated into naming various people and families but the ‘fors’ have become a kind of diary and place of reflection. He also cites how the ‘fors’ have become places to talk about science, epistemology, linguistics and other scholarly subjects. He concludes that the routine of writing two or three lines a day and the intricacy of the puns and wordplay mean that ‘Jubilate’ is not a record of madness but an intelligent, lonely and bored mind trying to stay sane. All that out the way, here’s time for my tuppence. Where Sherbo approached the poem as a scholar, and Devlin like a religious man (he was a CoE vicar) I decided to approach it like a writer and for three weeks wrote a couple of lines of my own ‘Jubilate’. Quickly I realised to write in this form, with a ‘let’ and a ‘for’ that related across to each other but also up and down to the other ‘lets’ and ‘fors’ was a task that could not be undertaken by a disordered mind but did require a focus that fell well out of my sphere. A focus that could have roots in obsession but not an ordinary one. I also found that as the format did encourage personal revelation and unvarnished thought, it did read quite mad, although I am perfectly sane. What’s more, the more I read and reread ‘Jubilate’ the more I saw wordplay and other play not only within the line, between corresponding ‘lets’ and ‘fors’ but also with the lines above and below, sometimes far up and below. It was almost as if each point of the poem relates to each other point, at times the poem seemed almost 3D. I reckon it would be of great understanding to the poem if a person could create a 3D diagram of the poem with all the points, jagged and uneven. I reckon it would look great. I also reckon it would look a lot like a net. And that is what I think the poem is, a net. It starts with an invocation; gathers every Bible character and animal that Smart can think of, then gathers plants, rocks, scientific theories and language. It even gathers Smart’s daydreams, his wishes and his history. It gathers families and towns, everything it can and then sets them in relationships with each other. Up the text, down it, out of it, in it, until that text becomes a net to catch something of the essence of all creation and thought and so an essence of God. A mad idea, perhaps, but one that makes sense to me.